Have you ever wondered why you should use a recruitment agency? What can a recruitment agency offer you that you can’t just do yourselves? Below you’ll find the top 9 reasons to use a recruitment agency and why it is beneficial for your company, big or small. One of the most desirable attributes of using a recruitment agency is that they can save you time. The recruitment process can be a long and daunting task. By using an agency, you can cut out filtering, sifting through CV’s and even interviewing unideal applicants. Instead you’ll save on in-house resources and the recruitment agency can pick apart the applicants from the candidates for you. An agency will plan everything on your behalf, from the interview itself to giving the candidate feedback. By placing a candidate through an agency it can be a more affordable option for your company. The cost of placing a candidate in-house can actually be more expensive, especially for a small company. Agencies get discounts on advertising and don’t need to invest as much resource into searching for ideal candidates. They will normally already have a bank of candidates that they can choose from. By using a recruitment agency you will be interviewing candidates, not applicants. Anybody can jazz up their CV to seem appealing to an employer. A recruitment agency can filter the right person for the job by meeting with the candidate. Prior to putting them forward for a job, they will screen and even prep the candidate for the interview. This means you won’t be wasting your time interviewing applicants who don’t fit the specification you require. It also means you can focus on other projects you may be working on. Word of mouth – A recruitment agency will sell your company to any candidate they feel is appropriate for the position. This is good advertisement for your company, especially if you are a smaller business that the candidate may not have heard of. It’s always nice for another business to speak highly of your company and get the candidate excited about potentially working for you. That way, when they walk into an interview they already have a positive opinion of you. Referral benefits and paid advertising – Recruitment agencies offer advertising via a number of avenues, including; job boards, mailers, web pages, leaflets etc. This means you don’t need to get the role advertised or keep an eye on applications. A recruitment agency is able to identify talent, as they act as an intermediary between your business and the candidate. A recruitment agency will usually have a bank of potential candidates, which they can then filter to different sectors and specific roles. A good recruiter will know who to put forward from their bank of candidates, again this saves time looking through a pile of CVs. This is similar to identifying talent but what a recruitment agency can also do is seek out professionals. They do this by looking at CV’s online and speaking with potential candidates to get an understanding of their attributes. The recruitment agency can pick the best of the best and put forward professionals relevant to the role you are advertising. One of the top reasons to use a recruitment agency is due to their expert knowledge. Here at GB Solutions we have a bank of knowledge in the following areas; Office, Finance, Marketing, Tech and Sales. Each consultant is a specialist in their individual field, meaning they can tailor their search and know exactly what to look for when putting candidates forward for your consideration. This means the consultant will know what skills to look out for, how to attract the right candidates and what salary to advertise the position at. This takes away the stress and hassle of having to do this yourself. A competitor is less likely to know you are advertising a vacancy if you use a recruitment agency. The job posting will come directly from the agency and will not include your business name. This makes it increasingly difficult for your competitor’s to gain knowledge of the fact you’re recruiting. 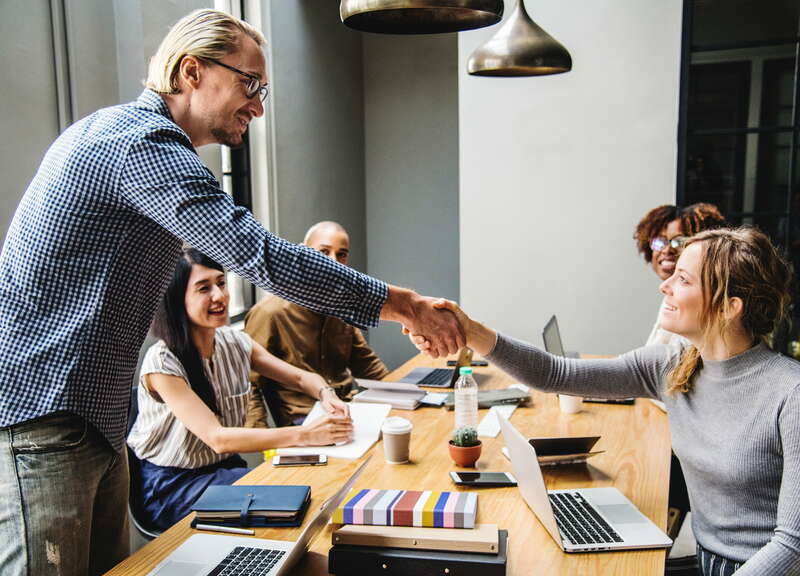 Overtime, by using a recruitment agency you can build a lasting and trusting relationship, making the agency a kind of extension to your HR team. It is so important for the recruitment agency/agencies you work with to know who you are and what your business is about so they can ensure their search is relevant to your business and the role you’re advertising. This means you can go to the agency in the future for immediate candidates and can also receive better deals for loyalty. Now you know why you should be using a recruitment agency to help with filling your vacancies. Please get in touch with us if you’d like to discuss our services in more detail. A massive thank you to Lea. I have to say, she has been the best recruitment advisor I have had the pleasure working with to help assist me with my job search. She is a massive credit to GB Solutions.